Removable Media Recovery software helps you restore deleted files from all popular removable media devices, such as: Compact Disc (CDs), Digital Versatile Disc (DVDs), Blue Ray Disc, External Hard Drives, USB Pen Drives, USB Flash Drives, SD Cards, SD Memory Cards, Memory Sticks, Solid State Drives (SSDs), etc. Software can successfully restore files which are lost due to accidental deletion or corruption. It can recover maximum possible data from corrupt storage media in their original form at user-defined location. It supports all popular and common file formats used by various programs. Download demo version of this software for free evaluation. * Support removable media files from all popular detachable media devices. * Support file recovery from damaged external Hard disk drives. *User can recover data from formatted drives using this software. 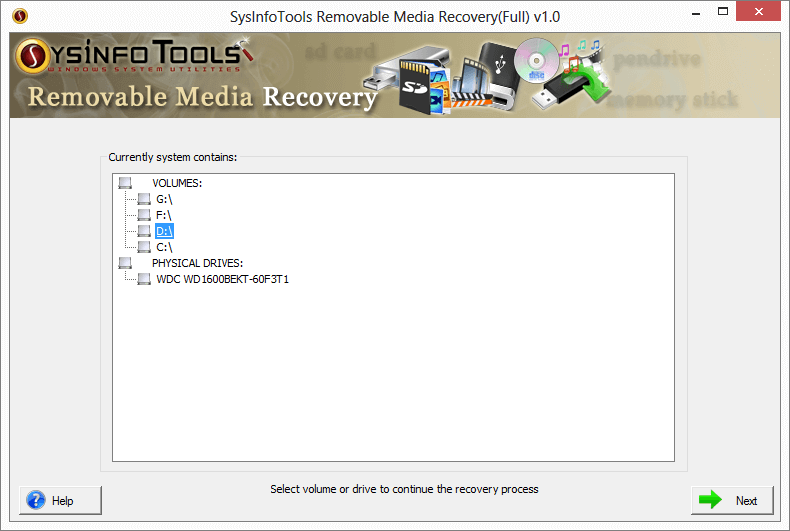 * Recover deleted media files from both partition tables, MBR and GPT. *Three different recovery modes are available to handle different level of corruption. * Tree-structure preview for all the recovered files and folders before saving them. * Auto-search feature for searching the files in the tree-structure. * Interactive and easy-to-use application that requires no technical knowledge. 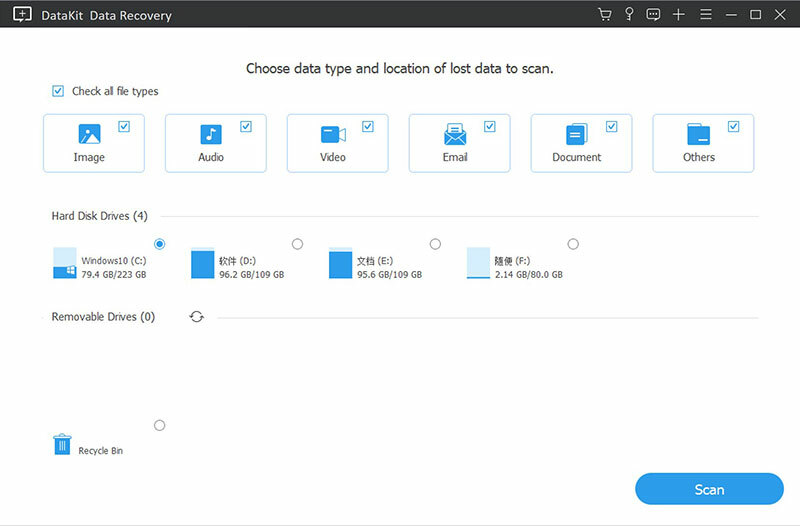 * Free Removable media recovery is compatible with Windows 10.